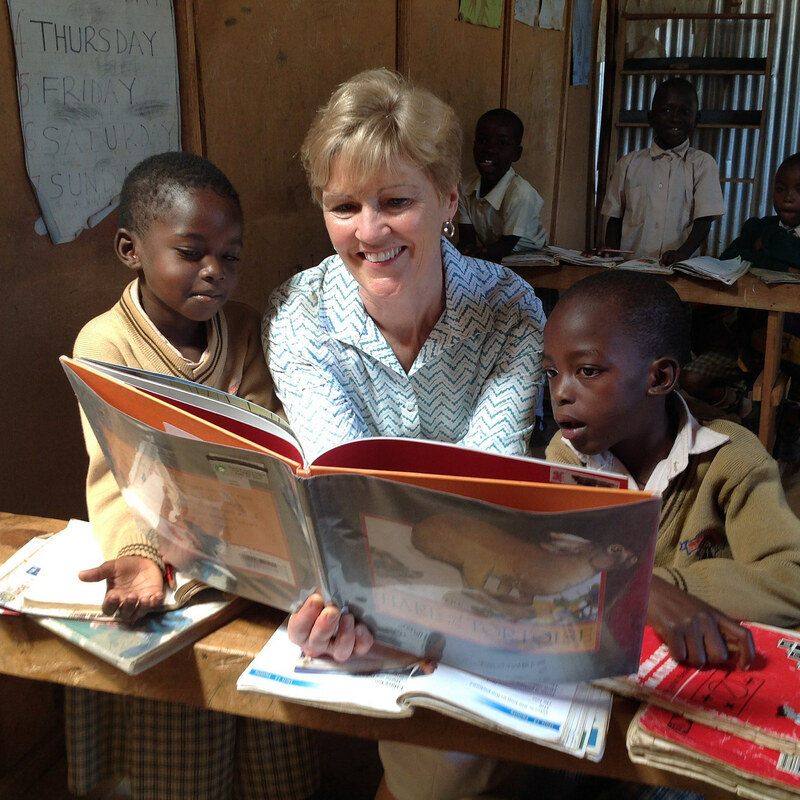 It costs $150,000 (US dollars) annually to educate and care for the students at Our Lady of Grace School. Please consider supporting our mission by making a generous donation to underwrite one of the following investment opportunities. A gift at any level is deeply appreciated! "Our Lady of Grace transforms the lives of so many children who have so very little. How can we not support them - especially at this moment of crisis? The book I was reading to the kids was, "The Tortoise and the Hare." It's a story about striving, persevering, and succeeding against overwhelming odds. That's what these children and their classmates do everyday. Strive, persevere, and triumph against all odds." Be a Partner in Mission! For U.S. taxpayers, your gift is tax-deductible as permitted by U.S. law if your contribution is made payable in U.S. dollars to Partners in Mission: Our Lady of Grace Development Fund, a publicly supported Section 501(c)(3) non-profit organization. One hundred percent of your donation to Partners in Mission: Our Lady of Grace Development Fund will go to Our Lady of Grace School in Kisumu, Kenya. Partners in Mission is certified by the IRS as a 501(c)(3) tax-deductible charitable organization. Using secure banking channels in Kenya, Partners in Mission forwards 100% of every donor's contribution to Our Lady of Grace School. Your contribution via Partners in Mission is secure and tax deductible. Pope Francis reminds us that Our Lady of Grace can be made manifest through you! "Mary's heart is full of compassion for all, especially the poorest and the most destitute, those who are in greatest need; and it is also her maternal tenderness - together with that of the Church - which is manifested through you." Also, Something as simple as drinking coffee can help Our Lady of Grace School. Everyone can do this!! St Basil Coffee is 100% Colombian, freshly ground, Fair Trade, Organic coffee sent right to your door. Fair Trade helps the workers who grow and process the coffee, and buying St Basil Coffee helps the children of Our Lady of Grace School. Everyone wants to do good — Become a Partner in Mission simply by drinking good coffee! Go to: saintbasilcoffee.com and make a difference in the lives of young people with every cup of coffee that you drink! $6.00 of every bag of St Basil Coffee sold with the code: Our Lady goes directly to Our Lady of Grace School!